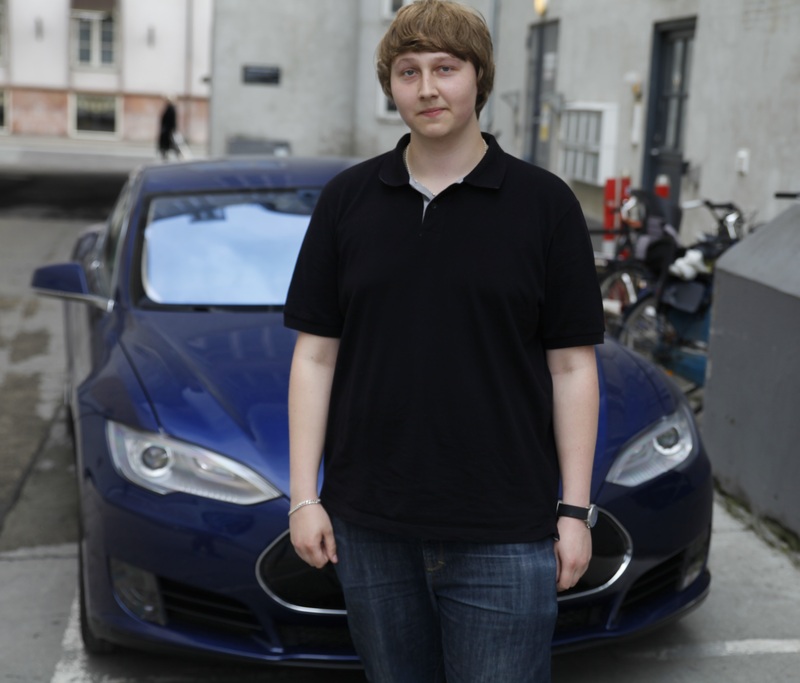 I recently had the pleasure of test driving the latest Tesla model, the 70D. And while it’s actually the slowest and cheapest model S, it was nonetheless an incredible experience. And I got to do it on my 20th birthday at that! I pretty much expected a small walkthrough of the features and something of a lesson on how to drive it. Instead we just jumped right into the car and started driving. Even with no experience driving such a powerful electric car, It was immediately very easy and comfortable to drive. The car’s interior is incredibly nice. 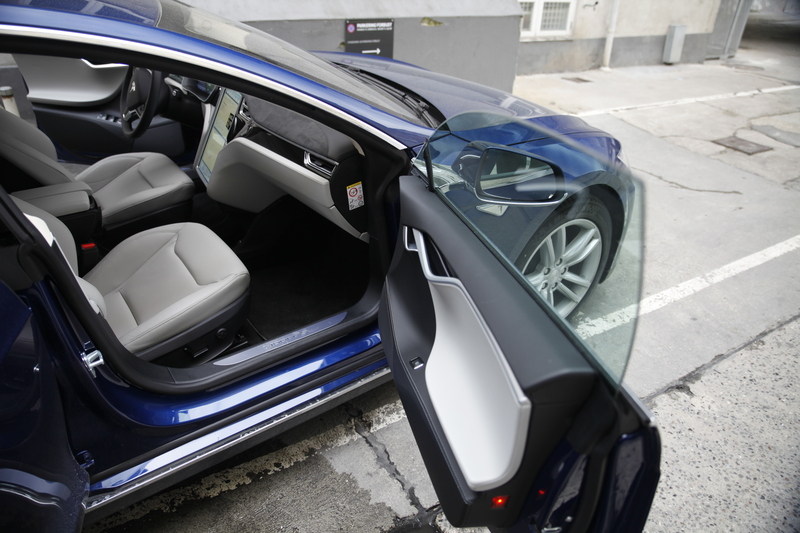 The seats are comfortable, more comfortable than on the old Tesla model S, since they upgraded the seats. The interior design is highly classy and just nice to look at. The backseats were also highly comfy, even the one in the middle. However I found it kind of odd that there were no pockets on the back of the front seats. 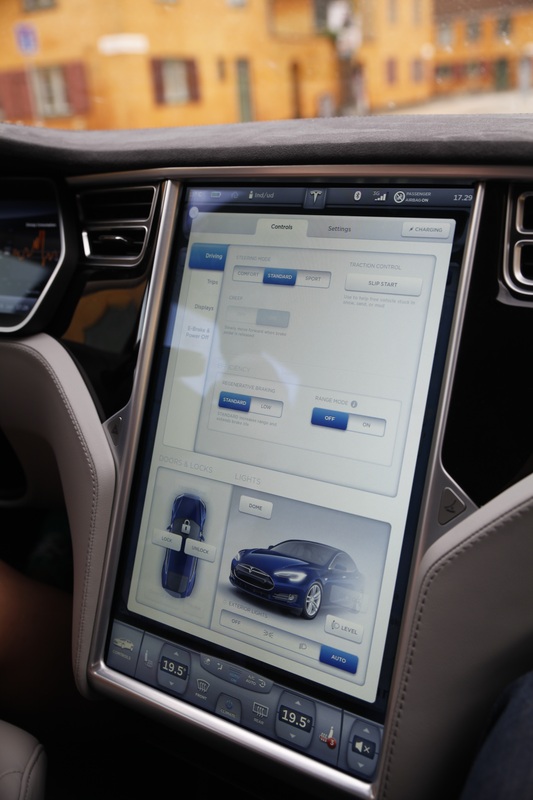 The screen in the middle is of course the whole cars control center. 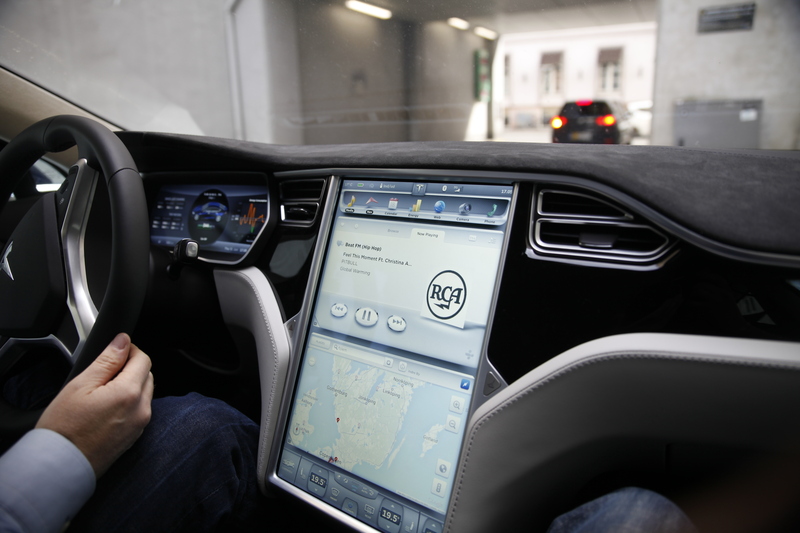 But you can do just about anything you like using the screen behind the wheel and controls on the steering wheel. 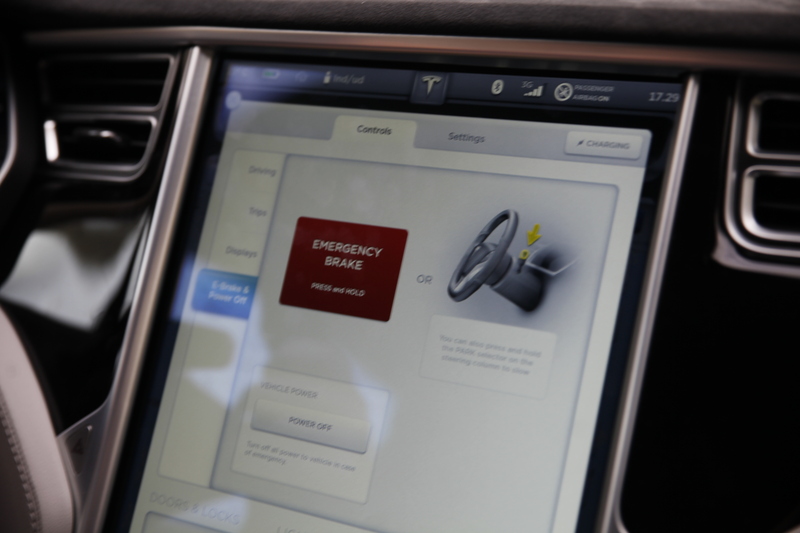 Change the music, gps and there’s even an emergency brake button on the steering wheel. 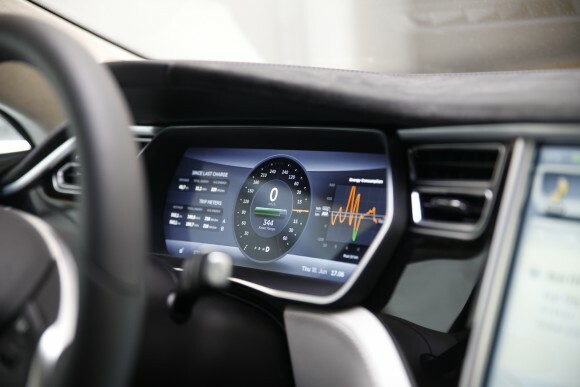 The screen behind the steering wheel also shows remaining battery, range and power consumption. So like I said, the car is extraordinarily comfortable to drive, and you get the hang of it pretty much right away. In fact my girlfriend, who has only driven manual gear petrol cars previously seemed to get a hang of it immediately. Albeit she noted it was scary to drive such a powerful car. The gas pedal is very different from the ones in regular cars though. The only way to describe it is that it’s not so much about how far you press it down, but more about how hard you press it. It feels kind of stiff, but yet highly responsive. I liked it, a lot. The brake pedal however, I barely even got to try out. The regenerative braking is so powerful that the regular brakes becomes redundant in regular traffic. Also, the brake lights do go off when you use the motorbrake. However they only do so when you’re going 30km/h or under. Which is understandable since the effect is the highest around those speeds. The real fun began when we pulled in behind an industrial area onto a road that they internally call the “Tesla highway”. A fitting name, because this is where we tried the 0-100 km/h acceleration. This one is very difficult to describe since it was so intense and unlike anything else I’ve ever done. My girlfriend compared it to an airplane taking off, but with more G-forces. I have actually driven quite a few cars, some of them fairly powerful. Possibly the one with most noticeable acceleration is a Volvo xc90 with a V8, however since it’s such a large car it’s really not fair to compare. The Tesla 70D however has an amazing acceleration. It goes from 0 to 100km/h in 5.2 seconds, which doesn’t sound all that amazing, but trust me it was. 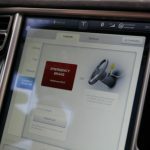 Since the Tesla cars don’t have any real gears the acceleration is much more direct than in any fuel powered car, the guy from Teslamotors compared it to a powerdrill. And from a standstill, pressing down to full throttle you get slammed back into your seat and before you notice, you’ve reached 100km/h. It’s unlike anything I’ve experienced. 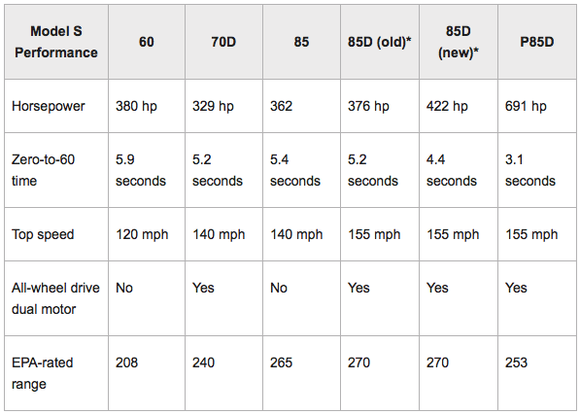 Then you consider that the p85D goes from 0-100 in only 3.1 seconds, which almost seems dangerous if the 70D’s acceleration was this intense. Not that I don’t want to try it, in fact I have to try it now. However, for any situation the 70D delivers more than sufficient acceleration and top speed. 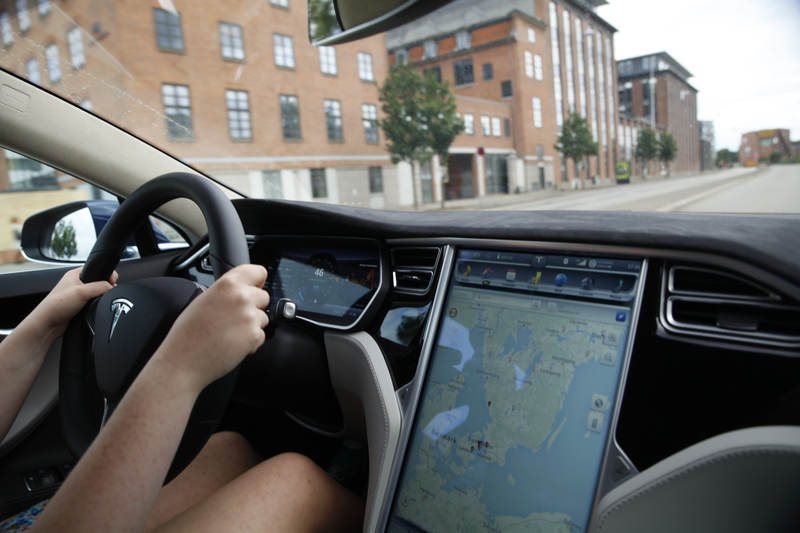 Top speed for the model S 70D is 225 km/h. It’s not sufficient to describe it using words, so check out these peoples reactions to 0-100 in a P85D. Our reactions were just about the same in the 70D, despite it being somewhat slower. 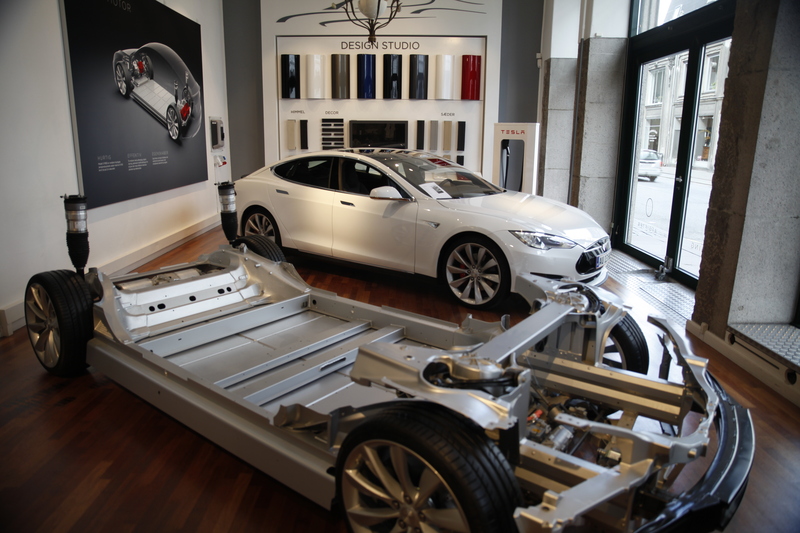 After driving a couple times up and down the “Tesla highway” we returned to the shop. On the way back I flicked through the options on the center display. Most of you might be familiar with what features are on there, but essentially you can change just about any setting, check power consumption, gps, radio & music and more. If you’re wondering, of course it has a reverse camera. One more thing I noticed was that the steering wheel vibrates to warn you if you drive too close to the edge of the road. The one we tried didn’t have the autopilot feature, so we had to park it ourselves. What a pity. But to be honest I don’t mind. I used to think the autopilot feature was quite incredible, but seeing how easy and fun this car is to drive I don’t see why you wouldn’t want to do it yourself. 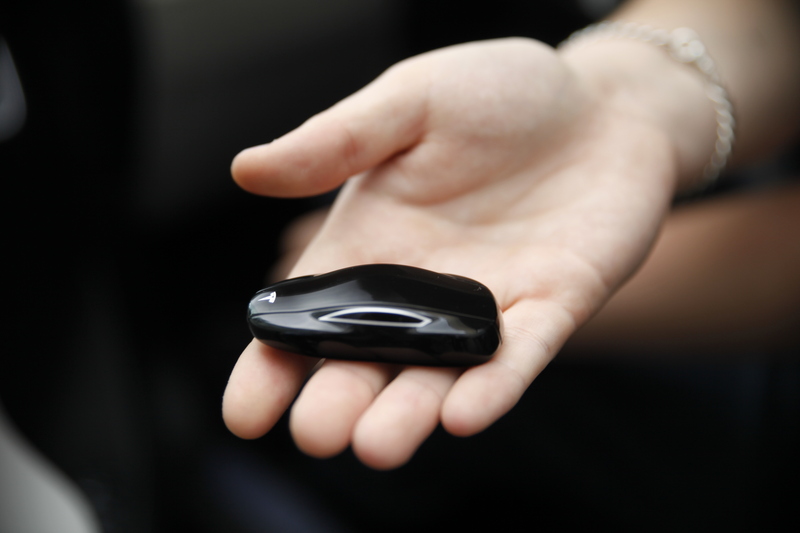 Another fun thing is the ‘key’ which is a miniature model of the Tesla. It’s not really a key though, you just keep it in your pocket. 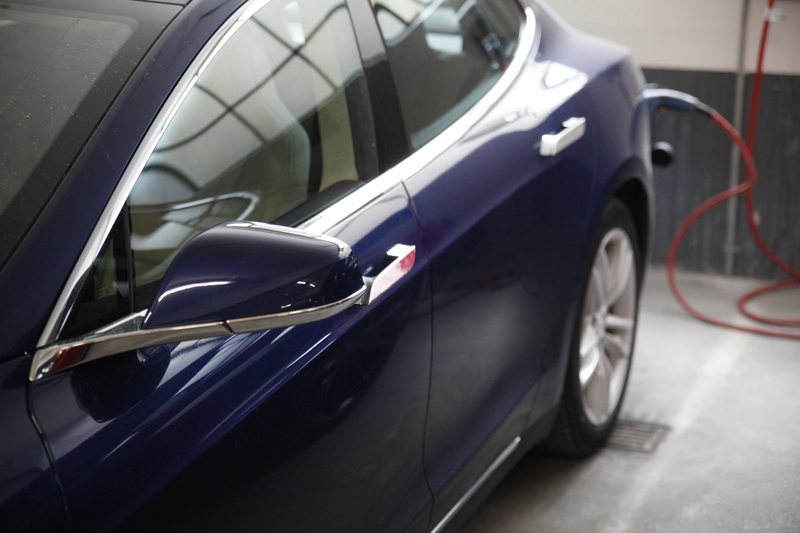 As you approach the Tesla it unlocks the doors and the handles protrude from the car. Then to be able to start the car the key simply needs to be inside of the car. It was surprisingly good at knowing when the key was in the car, just a few centimeters outside the door and the car would not start. 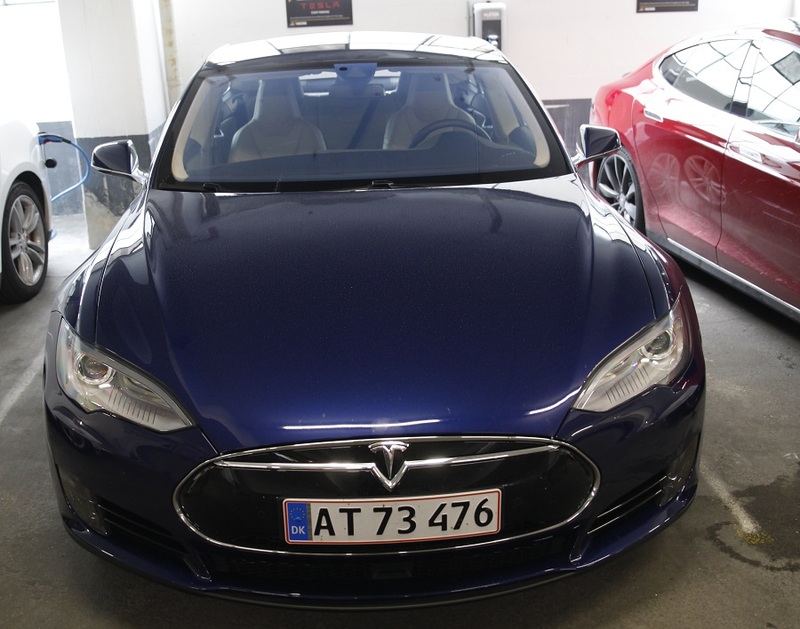 All in all test driving the Tesla Model S 70D was a really fun experience. I most certainly discovered which car my next car is going to be. If you want one it will set you back $75,000, before tax credits. Of course it also depends on the configuration you choose.